By LEDs ★☆★, January 26, 2017 in Have a tip or idea? 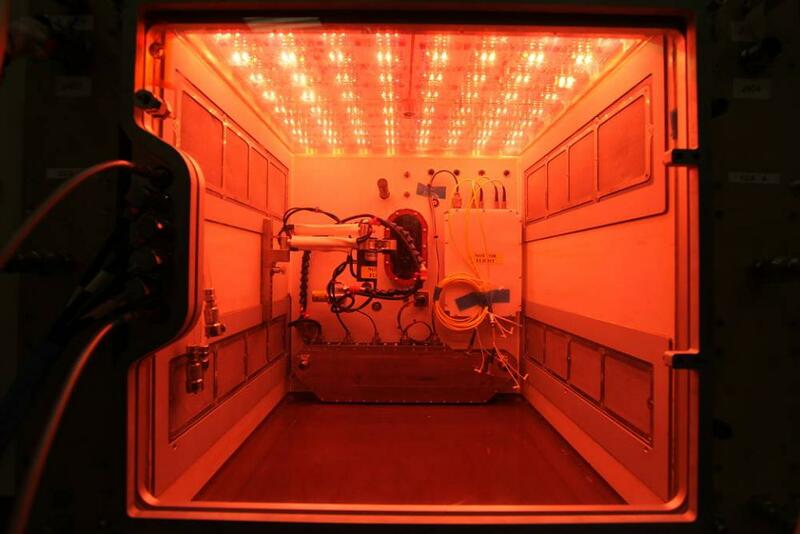 If you plant it, will it grow—in microgravity on the International Space Station? 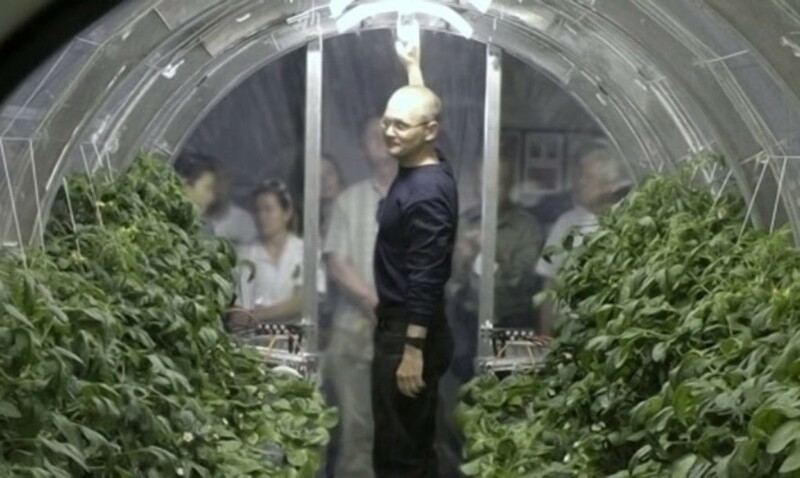 Expedition 39 crew members soon will find out using a plant growth system called “Veggie” that was developed by Orbital Technologies Corp. (ORBITEC) in Madison, Wisconsin, and tested at NASA's Kennedy Space Center in Florida. 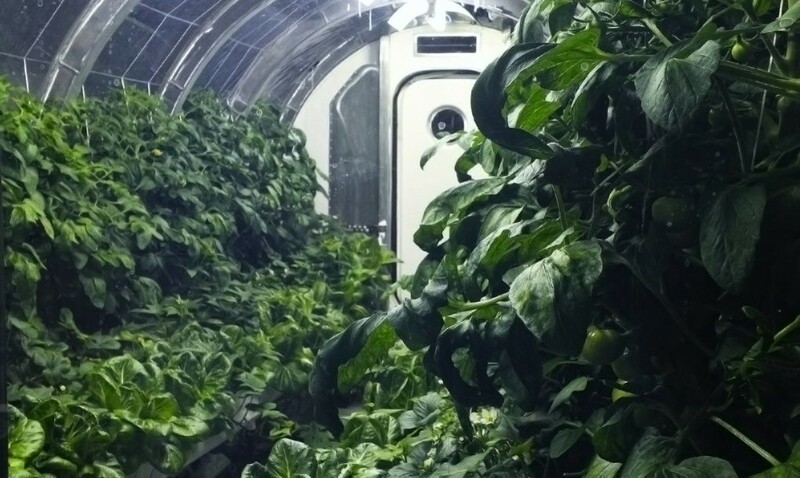 The first fresh food production system, along with the Veg-01 experiment, were delivered to the space station on the SpaceX-3 mission from Cape Canaveral in April and transferred to the Columbus module for storage until it was time for in-orbit activation. Expedition 39 flight engineers and NASA astronauts Steve Swanson and Rick Mastracchio installed Veggie in the Columbus module May 7 in an Expedite the Processing of Experiments to the Space Station (EXPRESS) rack. Wearing sunglasses, Swanson activated the red, blue and green LED lights inside Veggie on May 8. A root mat and six plant "pillows," each containing 'Outredgeous' red romaine lettuce seeds, were inserted into the chamber. The pillows received about 100 milliliters of water each to initiate plant growth. The clear, pleated bellows surrounding Veggie were expanded and attached to the top of the unit. Inside each plant pillow is a growth media that includes controlled release fertilizer and a type of calcined clay used on baseball fields. This clay increases aeration and helps the growth of plants. Dr. Gioia Massa is the NASA science team lead for Veggie. She sees Veggie and Veg-01 representing the initial steps toward the development of bioregenerative food production systems for the space station and long-duration exploration missions. "The farther and longer humans go away from Earth, the greater the need to be able to grow plants for food, atmosphere recycling and psychological benefits," Massa said. "I think that plant systems will become important components of any long-duration exploration scenario." 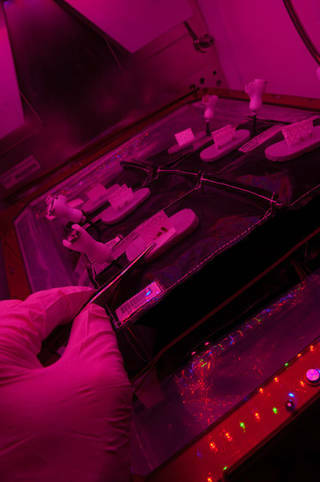 About 24 hours after Veggie was activated on the space station, back on Earth, "pseudo-naut" researchers activated identical plant pillows in the Veggie control chamber in the International Space Station Environmental Simulator laboratory at Kennedy's Space Station Processing Facility. 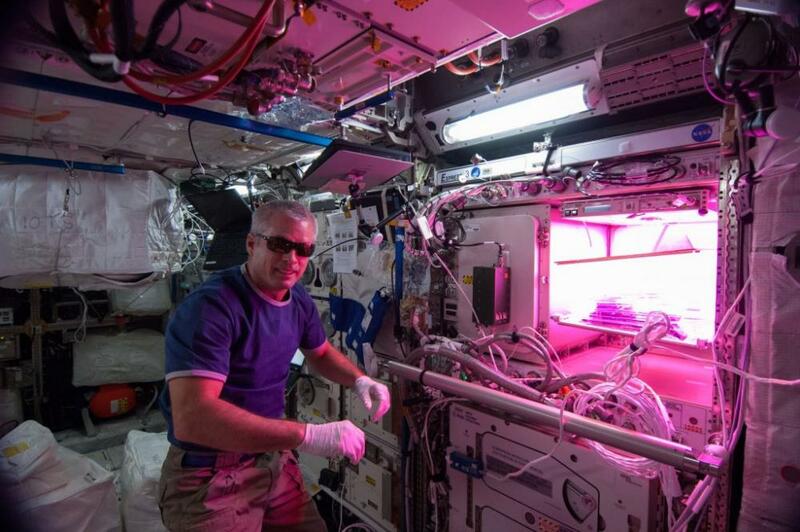 Researchers will monitor the plant growth and perform the same procedures as Swanson is doing on the space station. "My hopes are that Veggie will eventually enable the crew to regularly grow and consume fresh vegetables," Massa said. One of the plant experiment's goals is to verify the Veggie hardware is working correctly. Another goal is to establish that the space lettuce is safe to eat. 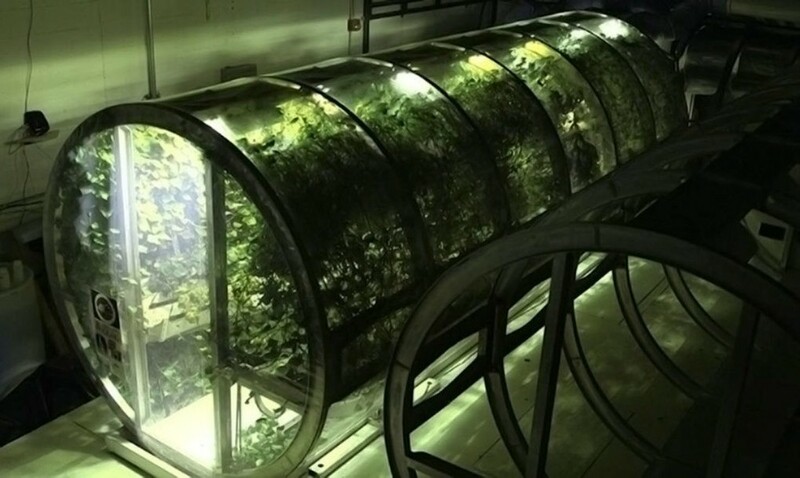 On the space station, the Veg-01 plants will grow for 28 days. Photographs will be taken weekly, and water will be added periodically. The pillow wicks were opened to help the seedlings emerge. As the plants grow, the pillows will be thinned to one plant per pillow, and microbial samples will be taken to check for any microorganisms that may be growing on the plants. At the end of the cycle, the plants will be carefully harvested, frozen and stored for return on the SpaceX-4 mission later this year. Veggie will remain on the station permanently and could become a research platform for other top-growing plant experiments. ORBITEC developed Veggie through a Small Business Innovative Research Program. NASA and ORBITEC engineers and collaborators at Kennedy worked to get the unit's hardware flight-certified for use on the space station. "Veggie could be used as a modular plant chamber for a variety of plants that grow up rather than in the ground," said Gerard Newsham, the Veggie payload support specialist with Jacobs Technology on the Test and Operations Support Contract. "This is just the beginning." Another set of six plant pillows, containing 'Profusion' Zinnia seeds could be activated in Veggie for the Expedition crew to grow and enjoy as they wait for word that the red romaine lettuce is safe to eat. If the lettuce is safe to eat, Massa said an additional set of plant pillows containing the romaine lettuce seeds will be activated in Veggie. "I hope that the astronauts on the space station eventually will use the equipment to 'experiment' with their own seeds or projects," said Nicole Dufour, who coordinated and led the testing of the flight hardware at Kennedy and wrote the crew procedures for the astronauts to use on space station. "Veggie is designed for crew interaction and to enjoy the plants as they are growing." Dufour said she hopes Veggie serves as a regular facility the crew uses to grow food crops. Dufour is an engineer in the Flight Mechanisms and Flight Crew Systems Branch of the Engineering and Technology Directorate. 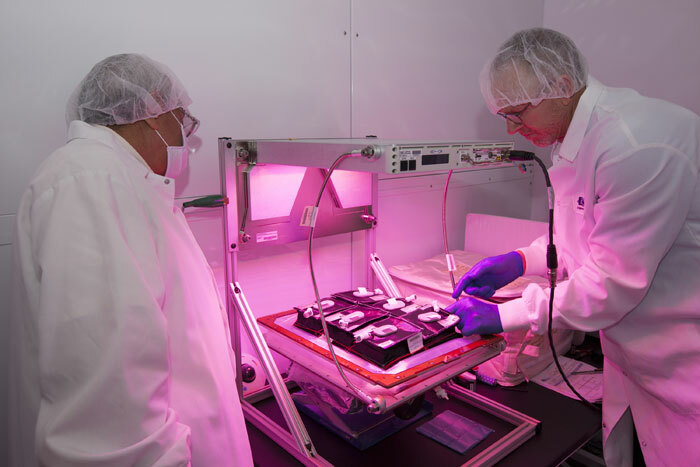 Brian Onate, former Veggie project manager, helped shepherd the plant growth system from initiating the build of the flight units in 2012 to just a couple of months before its delivery to the space station. "I hope to see Veggie's success as the first step in food production that will allow astronauts on the space station to enjoy fresh food and gain knowledge as we explore beyond low-Earth orbit," Onate said. A high fidelity test version of NASA’s Advanced Plant Habitat (APH), the largest plant chamber built for the agency, arrived at Kennedy Space Center in Florida the third week of November, 2016. The engineering development unit arrived by truck, was offloaded and transported to a laboratory at the Space Station Processing Facility. Inside the lab, NASA engineers, and scientists and technicians will train with the test unit to learn how to handle and assemble it before the actual APH unit arrives early next year. They also will test how the science integrates with the various systems of the plant habitat. While astronauts have successfully grown plants and vegetables aboard the International Space Station, NASA scientists at the Kennedy Space Center in Florida are collaborating with a university team to develop long-term methods that could help sustain pioneers working in deep space. Agency researchers believe while there are many challenges for human exploration beyond Earth, they are convinced there are solutions. According to Dr. Ray Wheeler, lead scientist in Kennedy Advanced Life Support Research, the Prototype Lunar/Mars Greenhouse project will support ongoing research in space to grow vegetables for food and cultivating plants to sustain life support systems. "We're working with a team of scientists, engineers and small businesses at the University of Arizona to develop a closed-loop system," he said. "The approach uses plants to scrub carbon dioxide, while providing food and oxygen." 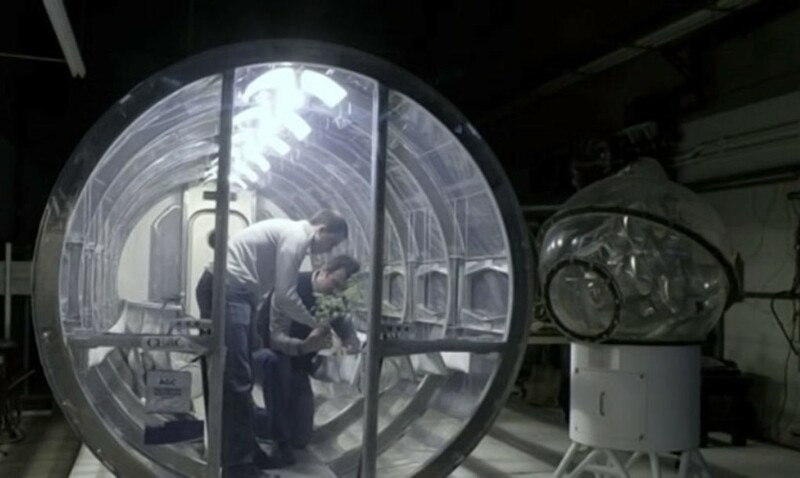 Wheeler noted astronauts exhale carbon dioxide, which is then introduced into the greenhouse, and the plants then generate oxygen through photosynthesis. The water cycle begins with water that is brought along or found at the lunar or Martian landing site. Water is oxygenated, given nutrient salts, and it continuously flows across the root zone of the plants and returned to the storage system. 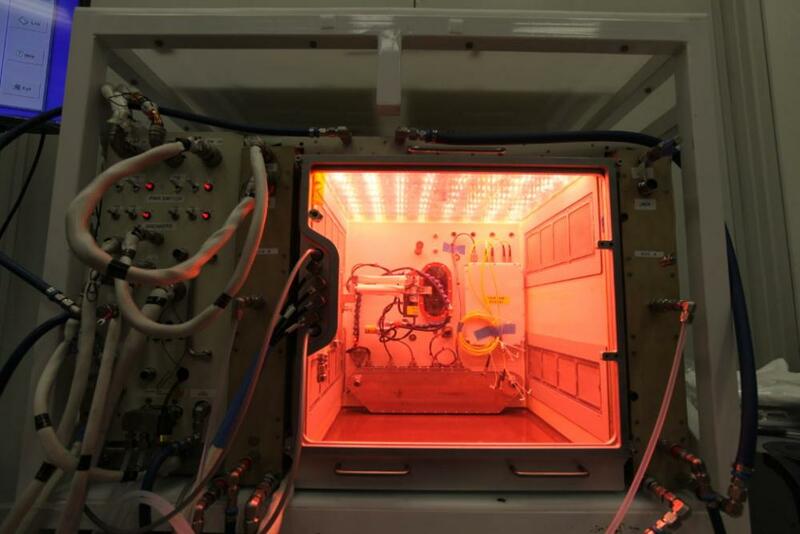 Back on Earth at the University of Arizona in Tucson, tests involving the Prototype Lunar Greenhouse have included determining what plants, seeds or other materials should be taken along to make the system work on the moon or Mars. Learning what to take and what to gather on site will be crucial for living on distant locations. Using available resources located or grown on site is a practice is called in-situ resource utilization, or ISRU. NASA scientists and engineers are developing systems to harness resources such as water that should be available in certain areas of the lunar or Martian surface to support missions lasting for months or years. "We're mimicking what the plants would have if they were on Earth and make use of these processes for life support," said Dr. Gene Giacomelli, director of the Controlled Environment Agriculture Center at the University of Arizona. "The entire system of the lunar greenhouse does represent, in a small way, the biological systems that are here on Earth." 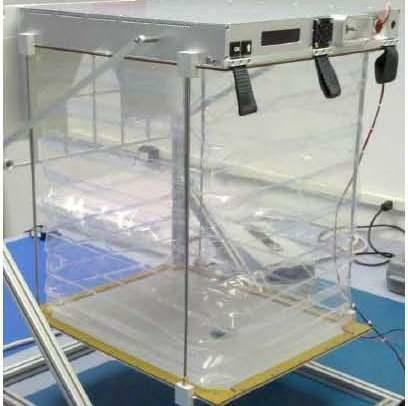 A professor in the University of Arizona's Agricultural and Biosystems Engineering Department, Giacomelli explains the next big step is to use additional lunar greenhouse units for specialized testing to ensure the system being developed will adequately support a crew of astronauts working on the moon or Mars. "We will develop computer models to simulate what we're doing to automatically control the environment and provide a constant level of oxygen," he said. Additionally, Dr. Roberto Furfaro at the University of Arizona is the principal investigator for the current phase of the project. He is a professor in the Systems and Industrial Engineering Department within the College of Engineering. 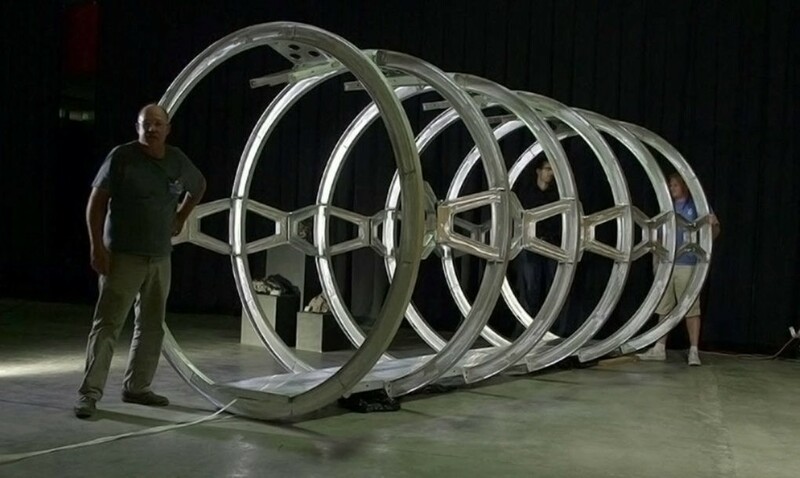 The prototypes now being developed are cylindrical -- 18 feet long and more than 8 feet in diameter and were built by Sadler Machine Company, one of the project partners. 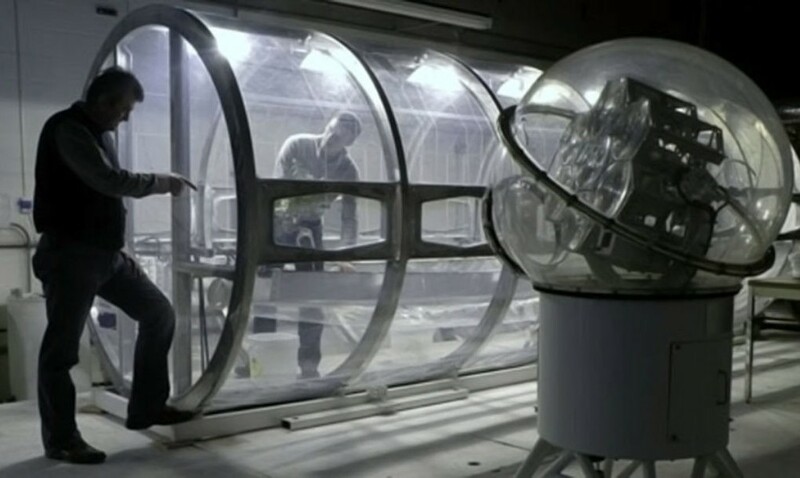 To protect from radiation in space, the greenhouse units would likely be buried under surface soil or regolith thus requiring specialized lighting. "We've been successful in using electric LED (light emitting diode) lighting to grow plants," Wheeler said. "We also have tested hybrids using both natural and artificial lighting." Solar light could be captured with light concentrators that track the sun and then convey the light to the chamber using fiber optic bundles. While studies in working on the surface of other locations in the solar system take place on Earth, aboard the space station astronauts have been gaining experience in growing crops in space. NASA’s Veggie Plant Growth System was the first American-built, fresh-food growth experiment on the station. It helped continue research for the development of food production systems for long-duration exploration missions. This work is part of Kennedy's efforts in plant research and production of food for exploration missions as directed by Human Research Project and the Space Life Physical Science Division. From Earth, Wheeler sees the greenhouse system as a way to take some native processes for sustaining life during exploration beyond Earth. "I think it's interesting to consider that we're taking our terrestrial companions with us," he said. "While there may be ways to engineer around it in terms of stowage and resupply, it wouldn't be as sustainable. 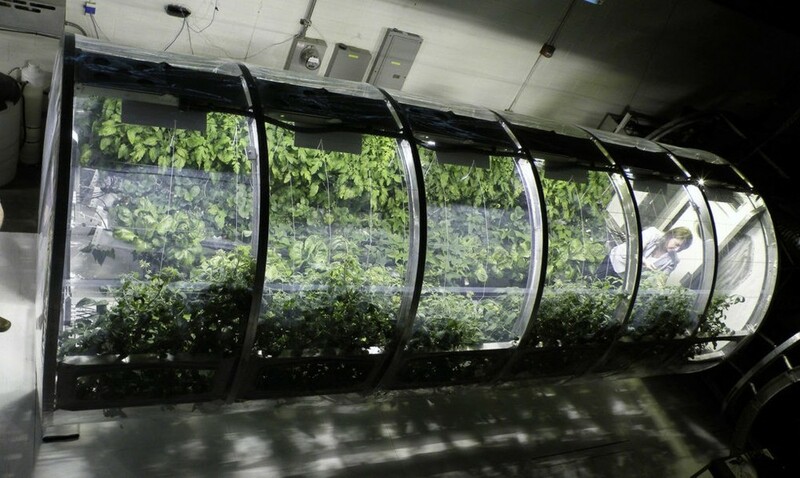 The greenhouses provide a more autonomous approach to long-term exploration on the moon, Mars and beyond."